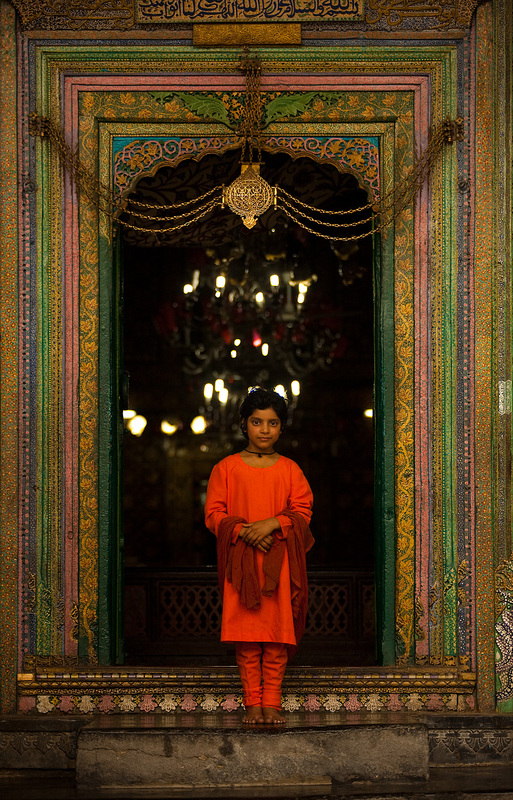 A young Kashmiri girl poses for a photo at the entrance to the Shah-e-Hamdan mosque. This cute li'l lass had a single purpose this evening: to model. She purposely stood in various spots at the Shah-e-Hamdan mosque and with a quick glance at each location, cued me to take her photo. With the amount of light available, I was already pushing the envelope for a sharp picture hence she's a bit darker than I'd want. But overall, I'm rather pleased everything came out as sharp as it did. 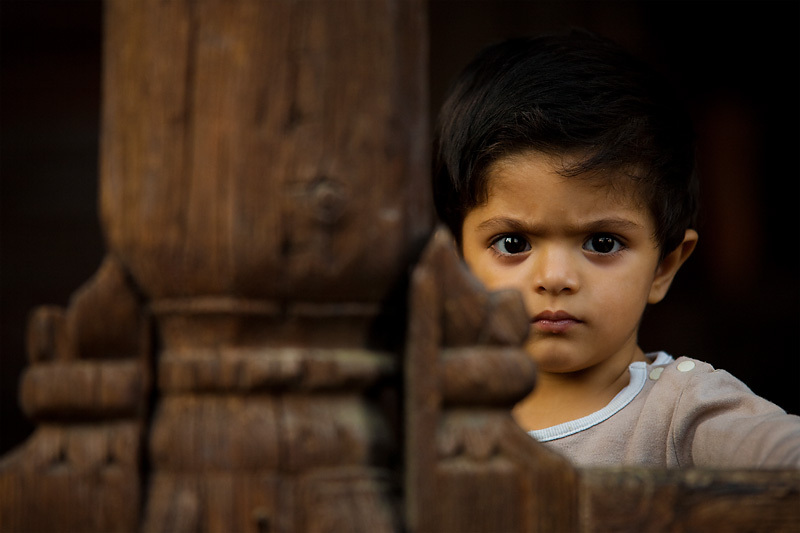 A young boy hides partially behind a wooden column. The look on his face seems to indicate he meant business. Unless I completely misinterpreted his peak-a-boo antics, I thought we were having some wholesome family fun. Upon reexamining this photo, I now fear I may be the intended subject of a pint-sized jihad. Again we reach another end to archived photos (on the weekend). Stay tuned for more Antwerp photos tomorrow!